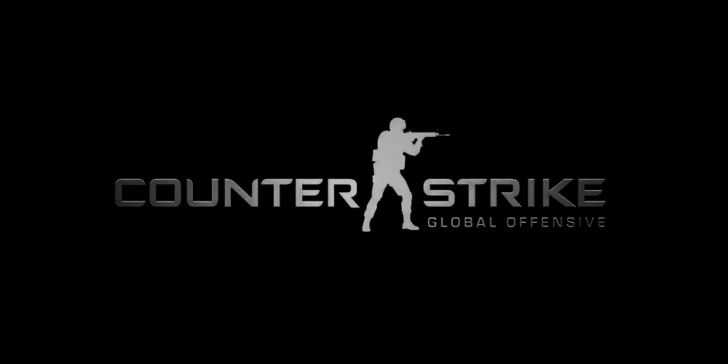 The biggest Counter-Strike event in Australia in 2019 is about to kick off. The IEM Sydney 2019 will take place between April 30 – May 05. 16 world class teams will compete for the prize pool of $250,000. Our IEM Sydney 2019 winner predictions opt for Liquid, FaZe, Fnatic and Renegades to have great chance to win it all. If you are looking for some higher tier Counter Striker in Australia, look no further than IEM Sydney 2019. According to online sportsbook news in Australia, 13 teams have already received direct invitations. Whereas the remaining 3 teams will be the winners of Oceania qualifier, GG.BET Invitational, and AU/NZ Championship. IEM Sydney is a CS:GO event of great importance. Therefore many top tier teams look forward to competing for the title. We predict IEM Sydney 2019 winner to be one of the four talented teams Team Liquid, FaZe Clan, Fnatic and Renegades. Here is our analysis of the four big favorites. Check out the latest review about Unibet Sportsbook as well! For the first time in many years, Australia has a serious competitor on the big stage. The home side Renegades have a lot of potential to surprise us all. Although their roster does not have superstars, the team is unbelievably good. After two Australians and a Serb joined the team four months ago, Renegades became top tier with a very good playstyle. Last year Renegades fell short to mousesports at the IEM Sydney quarterfinals. Soon after they started producing some decent results. They finished 1st at Asia Minor Championship London 2018. They were 3rd-4th at TOYOTA Master CSGO Bangkok 2018. In addition, they finished 5th-6th at ESL Pro League Season 8 Finals. Renegades are highly competitive, but other teams have more experience in winning titles. However, at Unibet Sportsbook the odds are 8.00 for Renegades to become the champions. The Swedish side became the 13th team confirmed for the showpiece event in Sydney. They are currently ranked 14th in the world. Their last achievement at the time of writing this article is reaching the StarSeries & i-League S7 final. They are undoubtedly one of the top title contenders with 6.00 odds at Unibet Sportsbook. Fnatci’s 2019 campaign has been somehow bumpy. They finished among the top-four at the IBUYPOWER Masters and the WESG World Finals. However, they faced an abrupt exit at the IEM Katowice 2019. Regardless of some serious setbacks, Fnatic are able to compete for the title, according to our IEM Sydney 2019 winner predictions. The European giants are looking to defend their title after winning the last edition of IEM Sydney against Astralis. FaZe Clan are ranked fourth in the world. Yet they are going through a transitional period, after replacing the captain karrigan with AdreN from Gambit Esports. They also let go of RobbaN the team coach and brought YNk, the famous CSGO analyst and former MIBR couch. So far FaZe have done relatively well with their new lineup. They won the title at ELEAGUE CSGO Invitational 2019, but they finished 5th-8th at IEM Katowice Major. Last season they had a lot of great performances. They played in 5 Grand Finals, they won 3 titles, and they have been placed 3rd and 4th at many other LAN events. Going into IEM Sydney, FaZe are definitely one of the stronger teams with 6.00 odds to retain the title. The North American side are currently ranked No. 2 in the world. That makes them the natural favourites with 3.50, according to online sportsbook sites in Australia. Last year Team Liquid have lost to NRG in IEM Sydney’s North American qualifier, which means this is the first time they attend the Australian tournament. The title will be a great deal for Liquid, especially after they suffered a quarterfinal upset at the IEM Katowice Major. If you are looking for best bookmakers, look no further and check our review about Unibet Sportsbook.